Final Fight was one of those legendary arcade games people will always remember and when Capcom decided to revisit the franchise, expectation soon rose but unfortunately this title was a hit and miss affair. Unlike the original game where players fought as Cody, gamers now play as Cody's younger brother Kyle who is making a living as a street fighter and when things go from bad to worse, it's up to the gamer to help Cody fight his way to victory. Final Fight is a traditional beat-em-up game that is nothing more than a button masher and even the most novice of gamers will soon master the control system of Final Fight Streetwise in just a few hours. Fortunately, the gamer has some advice from Cody who teachers the player the ins and ours of street brawling. 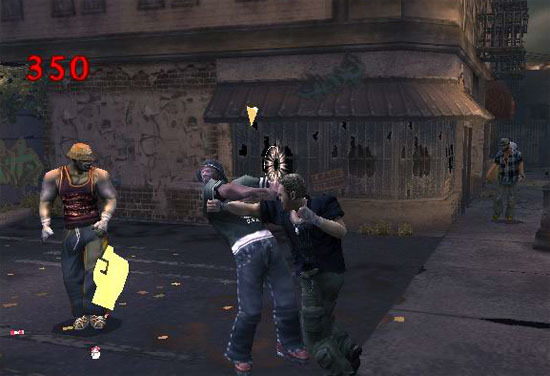 The gameplay of Final Fight Streetwise is set in the backstreets of an adhoc city that has the player engaging in a variety of missions that basically consists of beating the absolute daylights out of another person. 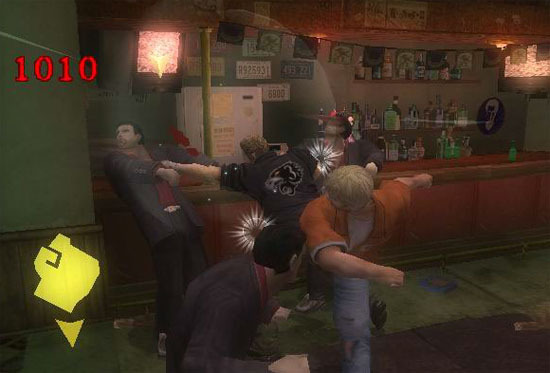 As the game progresses, the game starts to throw just about everything at the player, including more and more thugs. Of course, the gamer has access to variety of weaponry in the streets such as chains that can be smashed against your opponents and also some entertaining but nothing more than button mashing combos that would of looked great on paper but unfortunately didn't make the transition to the small screen. The tension combo system basically assists the gamer in unlocking these combos but is nothing more than real tension to the player. Ironically, players also have access to money that can purchase additional pieces of equipment and also allows the gamer to hire other street thugs. Graphically, Final Fight Streetwise looks a little dated on the PlayStation 2 but it still looks like a decent game with detailed background environments and some great looking 3D designed characters that move with a human like grace. Add in a clichéd sounding soundtrack and all the sounds one could expect to hear from street fighting and this title is as close as a sane person would want to get to a fight. However, I must admit the sounds of chains and guns in the game are quite realistic, so even this old gamer found something entertaining in this game. In conclusion, Final Fight Streetwise has about as much replay value as one would expect from a bad movie because even when you've unlocked all the combos from the game, the mediocre storyline, average control system leave the player feeling rather empty from what one should of been a classic game.